If you suffer from symptoms of chronic sinusitis, such as persistent facial pressure, headaches, upper teeth pain and ongoing congestion, you may benefit from a breathing enhancement procedure that is more effective than medication therapy and less invasive than sinus surgery. Dr. Khosh proudly offers Entellus Balloon Dilation to patients in the New York area. Balloon sinus dilation is a simple, in-office procedure that gently expands your sinus pathways to resolve chronic or recurrent sinus problems. Image is showing charts with sinus pathways. Signusitis symptoms resolve in four weeks or less. 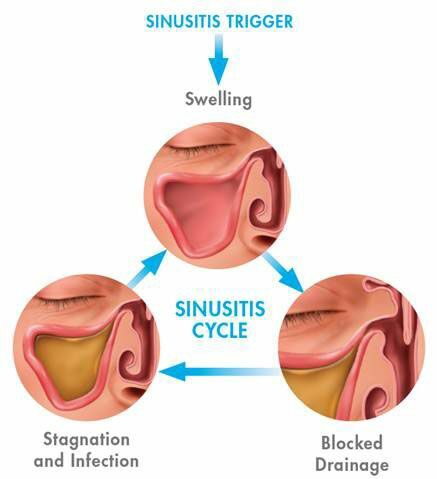 Four or more acute sinusitis outbreaks in a single calendar year. Periods of relief are followed by another outbreak. Symptoms last for more than 12 weeks. Severity of symptoms may cahnge, but will not completely resolve. Entellus Medical’s balloon dilation tool utilizes an innovative method that is proven in safety, comfort and effectiveness. Dr. Khosh performs this procedure in the office using only local anesthesia. Many patients report a brief tickling sensation or light pressure as the small balloon is inserted and inflated. The balloon is strategically inflated for only about 5 seconds before it is deflated and removed. 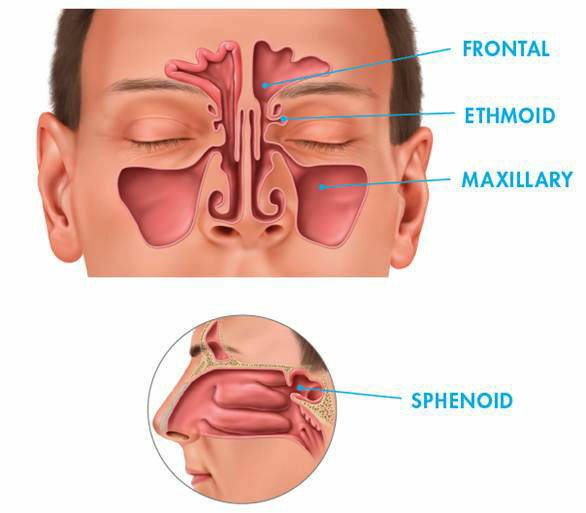 Using strategic placement of the balloon in the nose and sinuses, your sinus anatomy can be delicately reshaped and your sinus drainage properly restored. If antibiotics, decongestants, and steroids are failing to relieve your sinusitis, yet you are not ready to undergo more invasive sinus surgery, you are an excellent candidate for balloon sinus dilation. 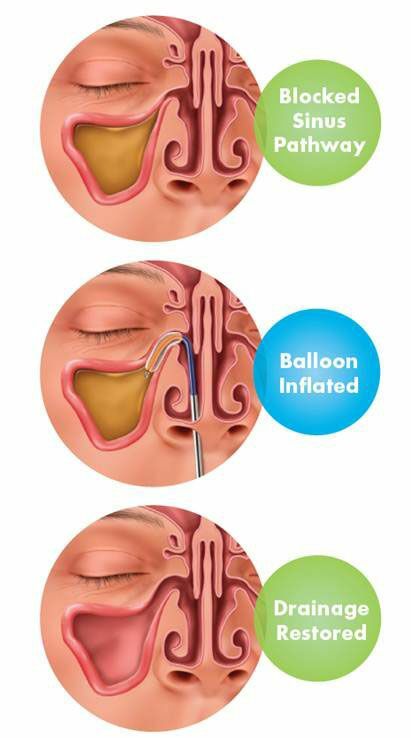 Balloon Sinus Dilation and Sinus Surgery can deliver comparable results in terms of long-term symptom relief. However, the Entellus Balloon Dilation can better respect a patient’s time, comfort and budget. Balloon dilation allows for faster recovery time and is a lower cost procedure since it can be performed without general anesthesia. Most important, balloon dilation helps patients avoid the need to cut and remove tissue and bone within the nasal passages. Separate Syudies have shown that patients who receive office balloon sinus dilation or endoscopic sinus surgery experience significant, lsting improvement in sinusitis symptoms. Sinus surgery or septoplasty may be required to effectively treat some cases of sinusitis. During a consultation, we can help you determine which sinus treatment is best for you. 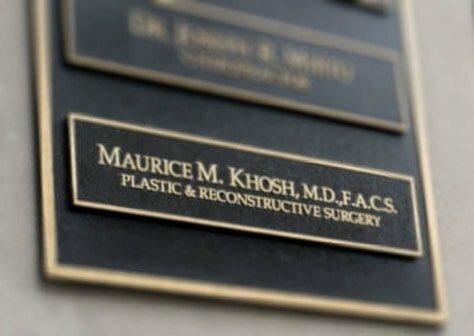 Dr. Khosh is a dual-board certified facial plastic surgeon who has extensive experience in correcting sinus problems through plastic surgery. He offers a full range of surgical and non-surgical procedures to address sinus and nasal concerns. You can trust that Dr. Khosh carries the delicate precision and vast knowledge it take to successfully treat your sinusitis and improve your quality of life. Patients who choose Entellus balloon dilation report being able to breathe comfortably, as well as smell and taste again. Contact us today to schedule your consultation with Dr. Khosh. 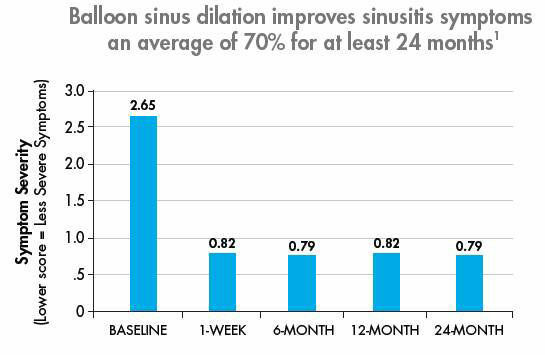 Chart showing Balloon sinus dilation improves sinusitis symptoms an average of 70% for at least 24 moths. Disclaimer: Plastic and cosmetic surgery results can vary between patients.